The southeastern United States has some excellent colleges and universities, and my top picks range from small liberal arts colleges to giant state universities. UNC Chapel Hill, Virginia Tech, William and Mary, and the University of Virginia frequently appear among the country's top 10 public universities, and Duke is one of the nation's top private universities. The colleges and universities below were selected based on factors such as retention rates, graduation rates, student engagement, selectivity, and overall value. I have listed the schools alphabetically to avoid the often arbitrary distinctions that separate #1 from #2, and because of the futility of comparing a large research university to a small liberal arts college. 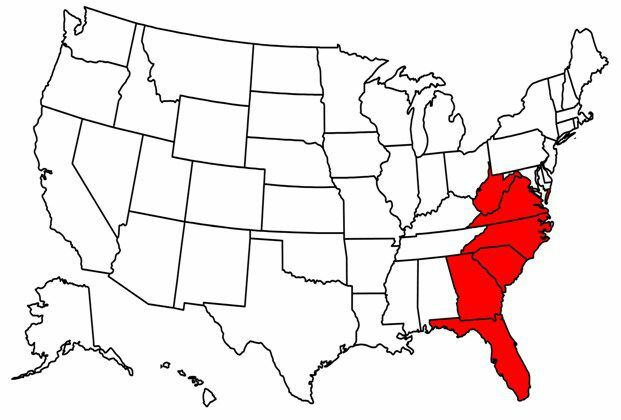 The colleges and universities in the list below were selected from the South Atlantic region of the United States: Florida, Georgia, North Carolina, South Carolina, Virginia, and West Virginia.